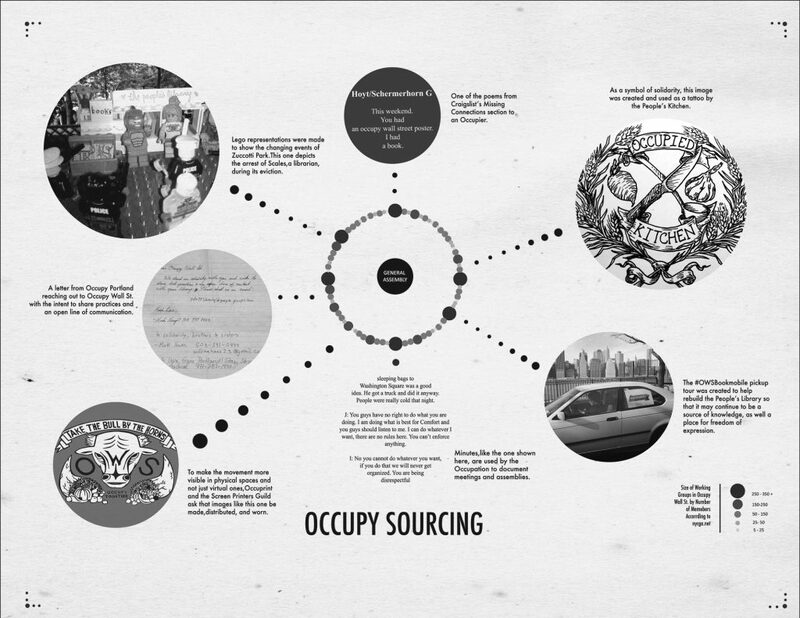 Occupy Sourcing by Amira Pettus. OCCUPY SOURCING: Occupy Wall Street rapidly re-created many of the functions of collective life—from libraries and kitchens to bureaucracies and markets. The working group structure is illustrated above by Amira Pettus.